You guys have heard me rave about One Thimble before, it is a really great e-zine packed with tons of patterns and awesome sewing advice. I have gotten the chance to sew up some of the patterns from previous issues (like the Ranger shorts, Steam train applique, Bow Trim Dress, and Honey Gum dress) and even released my Sunny Daytripper pattern in the last issue. Well, One Thimble is celebrating its one year birthday and released its 5th issue today! 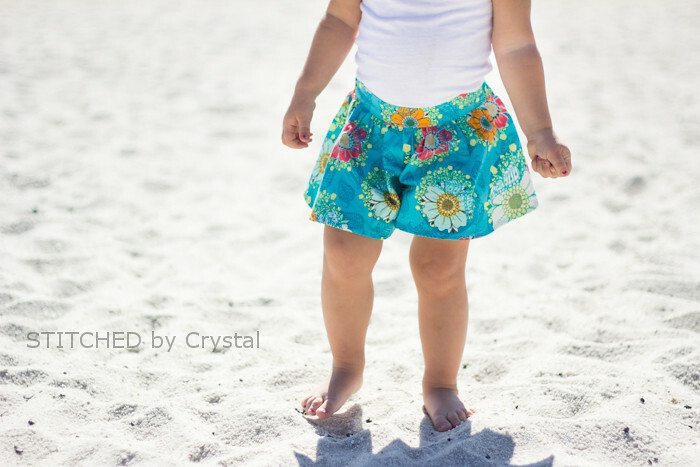 And I got the chance to sew another pattern from this issue...The adorable Moku Shorts! 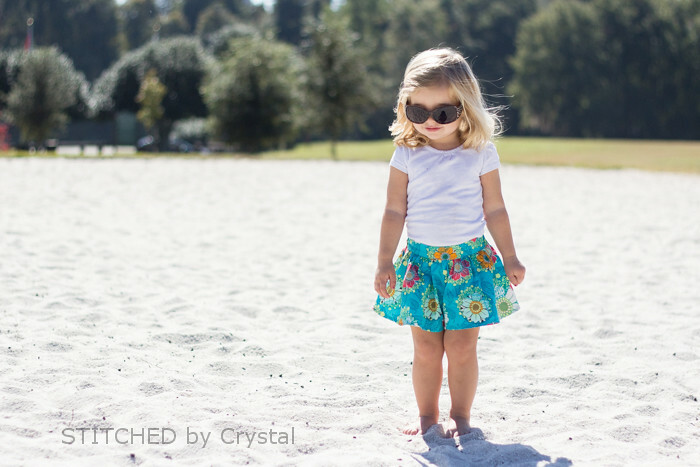 This little skort has the shape of a circle skirt, but is really shorts, which makes it great for play. 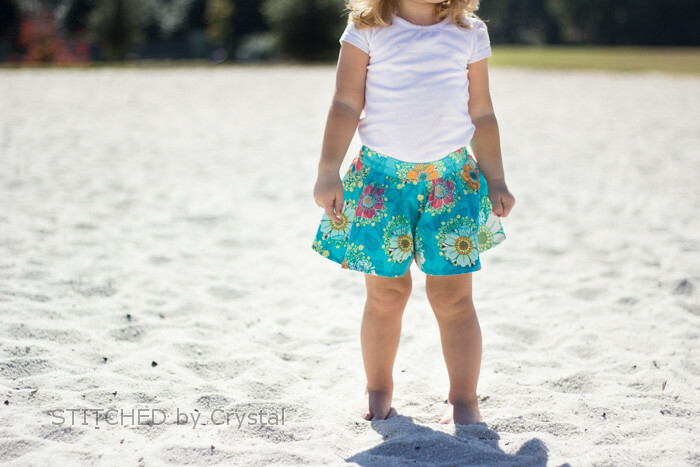 The shorts have a flat front and an elastic back, and it has the option of a high or low waist. I made Em the size 2 and the fit is great! 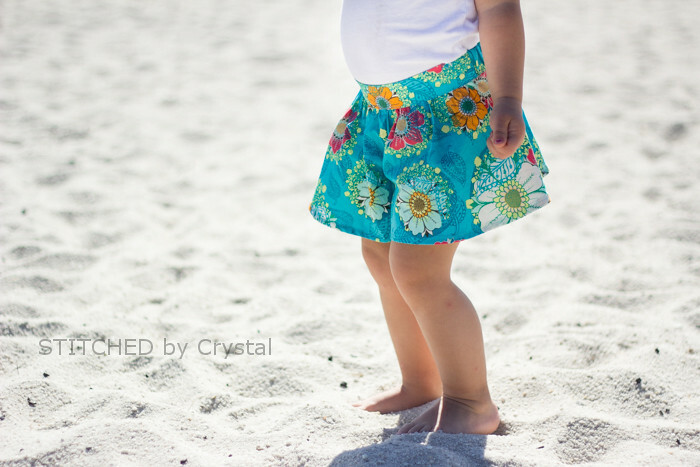 I sewed them up with some super soft Art Gallery cotton with a fun floral print, perfect for the beach. 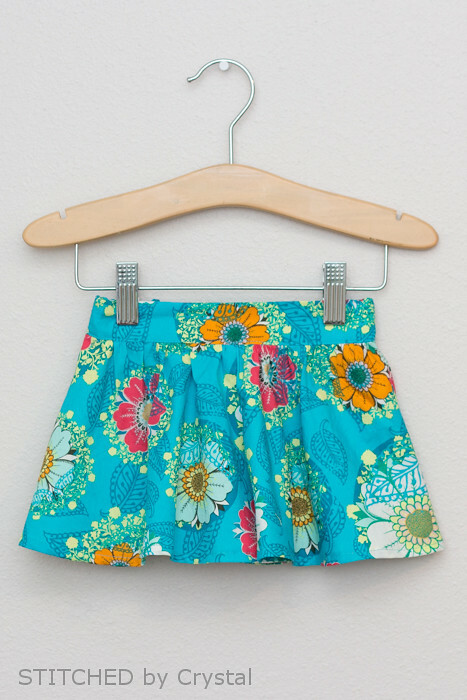 One Thimble is an Australian based magazine, so most of the patterns in this issue are summery like these shorts. But they also have a few Christmas patterns (including one of mine!) and a jacket. 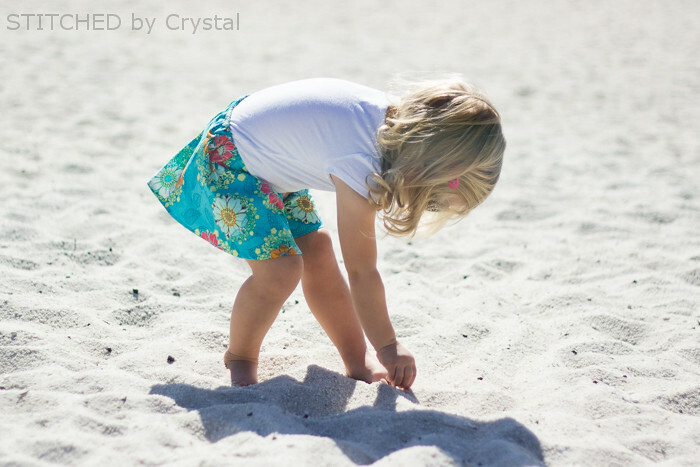 Living in Florida, we can use summery patterns year round. 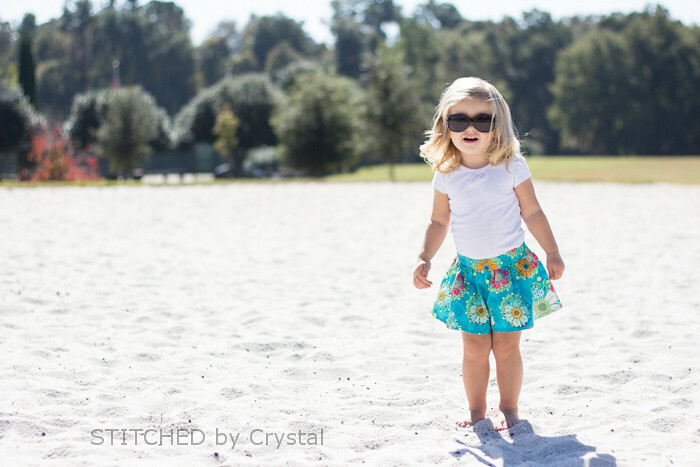 But if you happen to be covered in snow from that polar front covering most of the US, you can still get some use out of these shorts, check out this adorable layered look from my friend Jess! 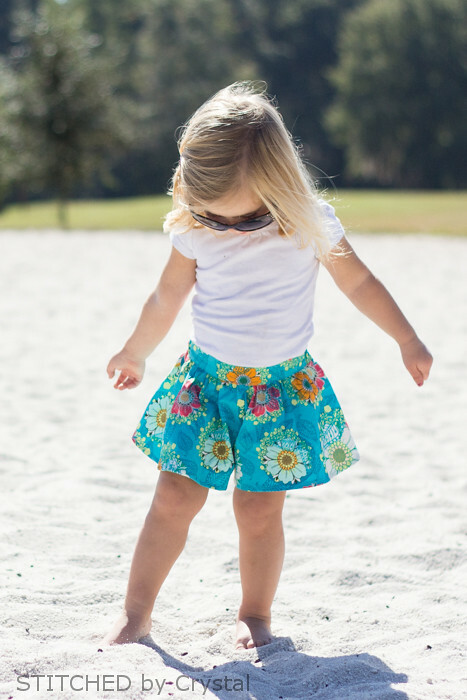 You can find the newest edition of One Thimble here, or you can purchase just the Moku Shorts pattern in the One Thimble Shop.